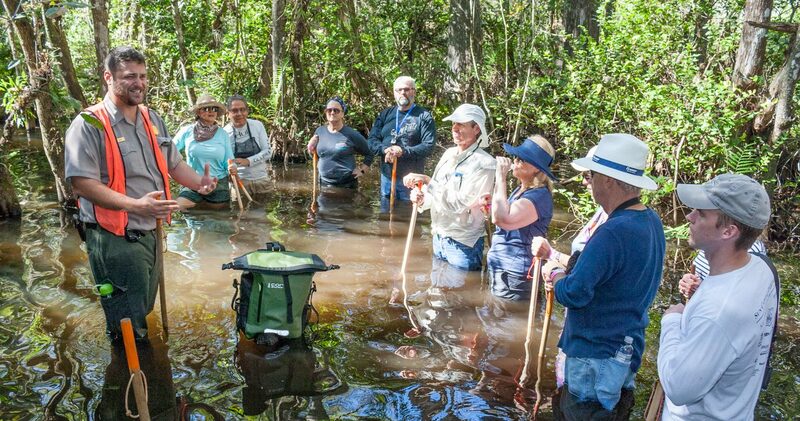 Don Finefrock is executive director for the South Florida National Parks Trust, a 2018 Community Grants recipient. Thank You – Don , Jordan, Harold & Hans, YOU are appreciated. Your dedication to my Park is so…evident. I am looking forward to my Volunteer Hours in the VP to be reinstated soon. God Bless “Biscayne National Park”. Don, Thank you and SNFPT and the volunteers who are maintianing our natural resources and highlighting the need to keep our natural vegetation pristine for future generations. The Government shutdown is an affront to all Americans and the National Parks, as you stated , are giving us another perspective and focus. Keep up the great wokr!